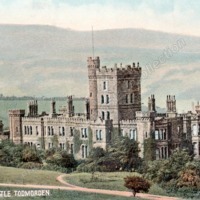 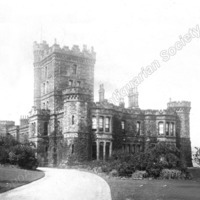 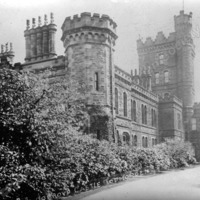 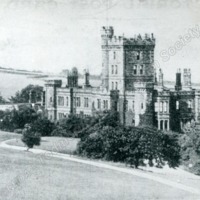 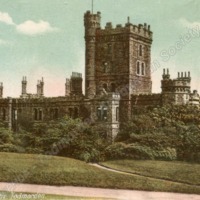 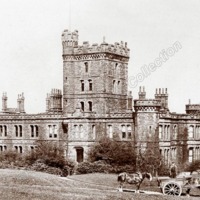 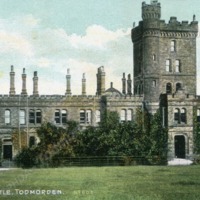 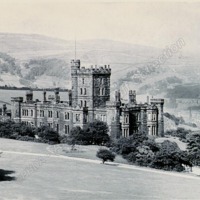 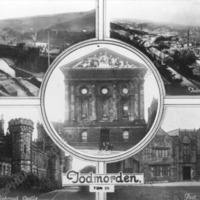 On the skyline is the tower of Dobroyd Castle, a mock gothic Victorian pile built by cotton magnate John Fielden Junior. 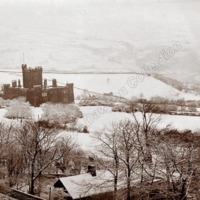 View over Shade School to Dobroyd Castle on the far hillside. 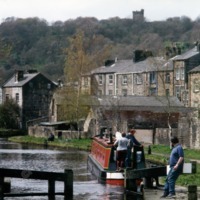 Restoration work in progress on the canal, the tower of Dobroyd Castle can be seen top centre. 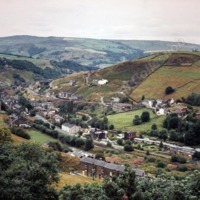 View over Gauxholme with the railway on the left curving to cross the Gauxholme Viaduct with the tower of Dobroyd Castle visible above it. 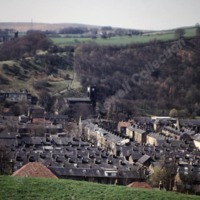 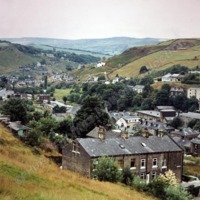 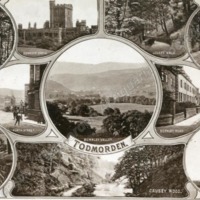 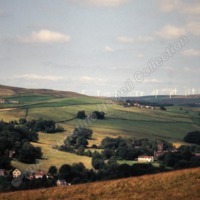 View towards Todmorden with the tower of Dobroyd Castle above the distant trees left of centre. 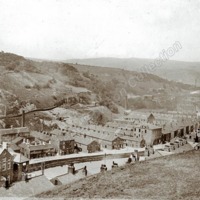 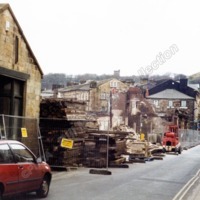 The railway was built 1840 by the Manchester & Leeds Railway. 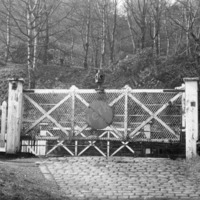 LYRS 8692 - Level Crossing gates from the east side probably in the late 1960s. 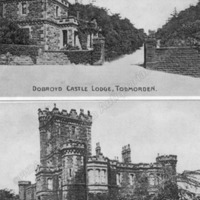 Once on the carriage drive to Dobroyd Castle it is now a pedestrian crossing only and the cottage on the far right has gone.